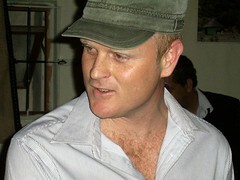 Steven Otter was born in Johannesburg in 1973 but grew up in Uitenhage in the Eastern Cape. Upon the completion of his one-year military conscription in the early 90s he moved to Cape Town to enrol at Peninsula Technikon as a journalism student. Steven has since worked as a reporter for a well-known Cape Town daily newspaper and as a subeditor, reporter and photographer for a weekly publication in Amsterdam. His book Khayelitsha: uMlungu in a Township is based on his time living in Cape Town’s most famous township. Steven lives in Cape Town and serves as the media officer for South African politician Patricia de Lille.